Featured amenities include complimentary wired Internet access, a business center, and limo/town car service. This hotel has 3 meeting rooms available for events. A roundtrip airport shuttle is provided for a surcharge (available 24 hours), and free valet parking is available onsite. A stay at The Imperial New Delhi places you in the heart of New Delhi, within a 15-minute walk of Kasturba Gandhi Marg and Jantar Mantar. This 5-star hotel is 2.1 mi (3.4 km) from India Gate and 2.7 mi (4.3 km) from Jama Masjid. 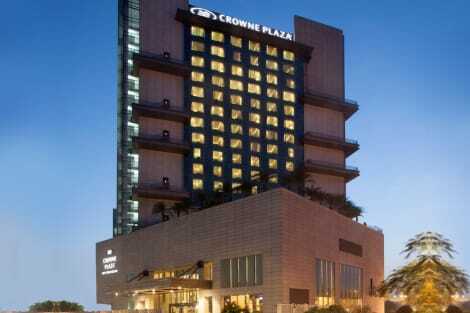 Crowne Plaza New Delhi Rohini, a landmark specializing in conferences and events located in North-West Delhi, offers the business and leisure travelers a holistic approach to help them get the best night's sleep, fine dining, rejuvenation and lots more. The hotel is at an hour's drive from the Indira Gandhi International airport and adjacent to the Metro Station. 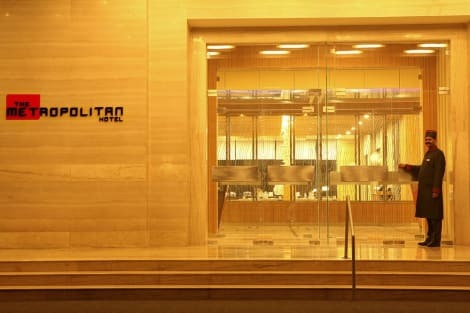 The Hotel ensures guests remain connected to the pulse of Delhi and is in close proximity to shopping complexes, local entertainment attractions, educational and health institutions and leisure destinations. Crowne Plaza Today New Delhi Okhla, a premium IHG brand, is located in the heart of South Delhi offering integrated hospitality for business and leisure travelers. 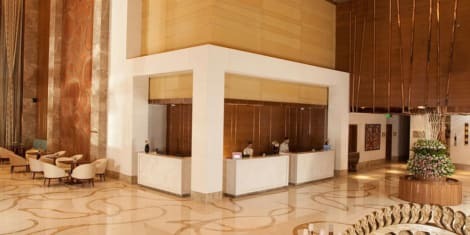 Located close to local business complexes and multinational companies Crowne Plaza Today New Delhi Okhla is easily accessible from Okhla Phase I, II, III, Mohan Corporative Industrial Estate, Nehru Place, Jasola, Noida, Film City, Noida Expressway, DND Flyway, Pragati Maidan, Tughlakabad Fort, and India Expo Centre. Leading super specialty hospitals of Delhi such as Indraprastha Apollo Hospital and Fortis Escorts Heart Institute are located at the adjacent. 3.5 kilometers from Percon 2018 Guests at Crowne Plaza Today New Delhi Okhla can easily reach Delhi's major tourist attractions such as the Red Fort, Qutab Minar and the vast, Lotus Temple, 14th-century ruins of Tughlakabad Fort, Akshardham Temple, within 30 minutes from the hotel. The multi-cuisine fine all day dining restaurant Edesia, renowned supreme Chinese-Italian restaurant ChaoBella, patisserie lounge French Heart and Copper bar in this luxury hotel are a combination of elite design, delicate fine dining and excellent service. This is a leading venue for weddings. Guests at Crowne Plaza Today New Delhi Okhla, can rejuvenate their mind, body and soul in leisure activities in Spazzo encompassing of an outdoor swimming pool, spa, Fitness Centre and beauty salon. Grab a bite at 24/7 Restaurant, one of the hotel's 4 restaurants, or stay in and take advantage of the 24-hour room service. Snacks are also available at the coffee shop/café. Unwind at the end of the day with a drink at the bar/lounge or the poolside bar. Buffet breakfasts are available daily from 7 AM to 10:30 AM for a fee. 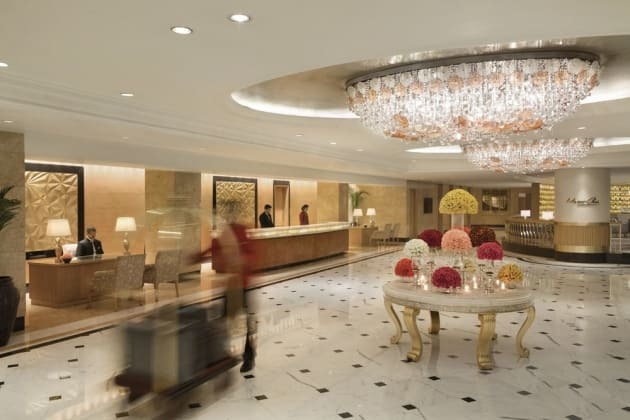 A stay at The Metropolitan Hotel and Spa New Delhi places you in the heart of New Delhi, a 5-minute drive from Gurudwara Bangla Sahib and 12 minutes from Sir Ganga Ram Hospital. This 5-star hotel is 2.8 mi (4.5 km) from Jama Masjid and 3 mi (4.8 km) from India Gate.